it's here finally! my month of winter bliss(break), i'm so excited that it is time to relax and forget about the last couple months of stress. but keep your fingers crossed...because now i wait for the grades to roll in...eeee! i'm thrilled to spend more time writing to all of you lovies(: and you know what that means...more posts, more outfits and more giggles! and one more thing, i must share why i love this outfit so much, yess? living in california sure has ups and downs but i can't explain how much i love being able to walk outside in a sleeveless top and not freeze to death! ohhh, i turned my magazine in yesterday...it was a hit! i got so much wonderful feedback from the most blissful judges around Key To Chic, Curvy Fashionista and theSTYLEMAP girls! yayy. have a sparkly rest of the week! your eyes are so beautiful!! Thanks for the lovely comment, I really appreciate it! great outfit!! 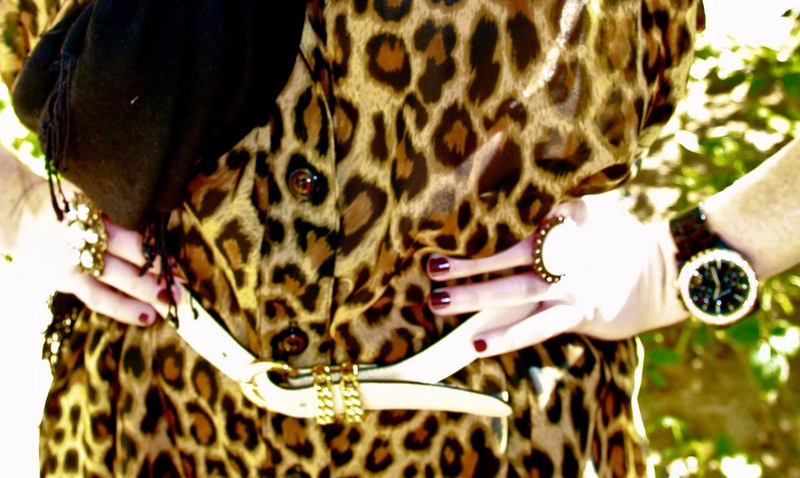 I love the leopard and the gold belt :)) gorgeous! Stumbled upon your blog and I'm so glad I did ;) I'm your newest follower! hope you can stroll by mine and follow if you'd like?? ooh rawr! 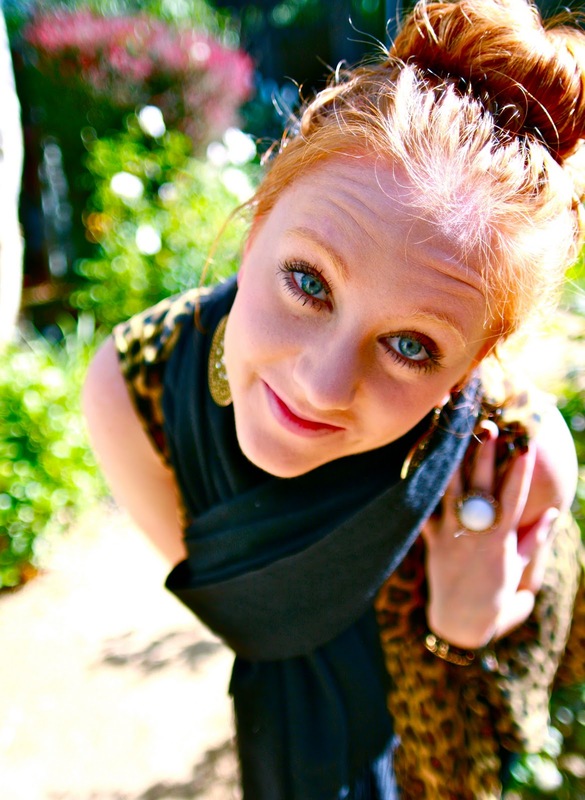 I love that bold animal print on you!! looks great with the scarf and boots! Dont be =) It is so cold. You look warm. Ah. Thanks hun. Visit my blog if you have time! WOW, your hair! You look so pretty! And your outfit is fab as well! Just discovered your blog and love it! The animal printed dress is perfect. loving all the vintage that's going on & of course the leopard!! First of all, I adore your outfit; second, WOW. That magazine! Did you create it??? oo im such a sucker for leopard! love this:) thanks for your sweet comment!! love the leopard print, a must for this season! You are blessed with the skill to make a perfect topknot. Love your hairdo! i really love this post, great and nice look! I can't believe you talk about Winter and are bare arms! I want your weather super please! Enjoy your break to the fullest!! Great outfit!! Love the boots, I need a pair like that. 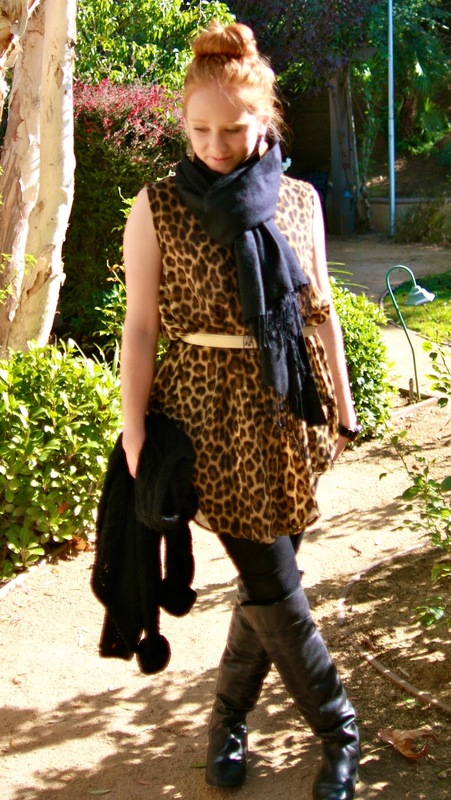 I'm pretty sure that you can't ever go wrong with a leopard piece. Fantastic outfit and all that sun is making me jealous (it's been raining here in Pittsburgh non stop). I'm a new follower :) I'd love if you could stop by my blog sometime and say hi, and follow back if you're interested. 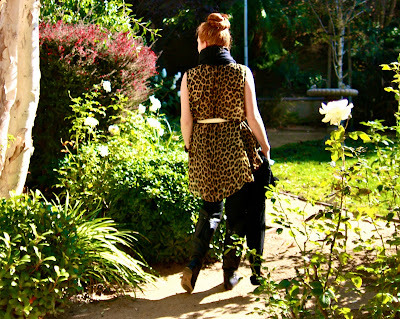 love the leopard and you gotta love a top bun/ Enter my STYLEMINT giveaway for 5 free shirts! Create profile to enter. These photos are so pretty!! I love the dress, leopard is so chic and fun to wear! Gorgeous outfit ! I really love your blog, it's so pretty ! Come visit mine if you have time and let me know if you would like to follow each other. Gorgeous outfit!.. 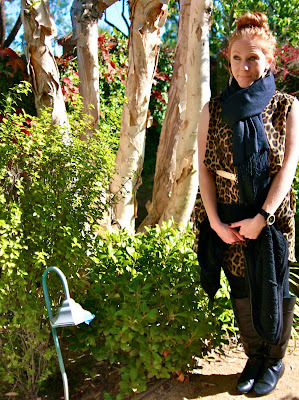 the scarf and leopard prints of your outfit were really great! why are you so lovely?! This is amazing for me, by the leopard and you hair... YOU KNOW! Your blog is one of my favourites! You're so lucky to live in California and be able to dress like that in winter! Up by the Canadian border, we are definitely not so lucky. :) Such a cute dress! And I think you heard it 100 times before but your hair is so beautiful!! oh i want a leopard dress too! sooo lovely! i so so love your dress. That's not just a blogger bun but a highland bun! Remind you of your younger days? i love that leopard print on you! gorgeous! love the dress!! i am such a sucker for leopard! I like your leo top! gimme more leopard print.... love that one! rawr! love the leopard! nice with the scarf and boots. yay to your break....you deserve it after all those exams, right??! !